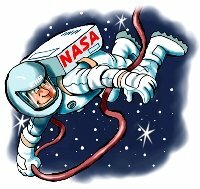 This page will explore Outer Space for Kids! There are billions of stars in the Milky Way galaxy. Stars just like our Sun, some smaller and some bigger. Many of the stars in the sky have nearby planets orbiting them. This means there are thousands of other solar systems inside our own galaxy! Do you feel small yet? Well, guess what.. there are also thousands (and perhaps MILLIONS) of galaxies, too! Earth is just a grain of sand when compared to the size of the cosmos. Scientists believe the universe is growing so fast that we will never be able to see how big it is. It might even go on forever! All of this space means there's tons to explore! Have you heard of a Black Hole? Do you know what happens when a star (like our Sun) explodes!? The kids Outer Space portal will tell you all you need to know! 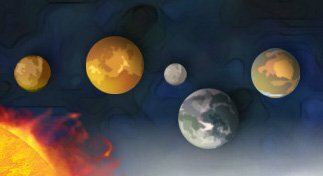 Some new interesting planets inside our galaxy! Want to know about the Sun, Moon, or our Planet neighbors? Take the Outer Space for Kids shuttle to the Solar System portal! Return to Astronomy-Kids Home and learn more about the Universe!